I would like to build an app to quickly insert items into a specific bookmark. Is there any chance you can extend the API with an endpoint listing all the bookmarks? If you just want to insert into a specific bookmark, you can hard code the location node id. We considered it in the first iteration, and came to the conclusion that bookmarks are more for humans than for machine. Would love to hear your use case though. Okay, that’s a bummer. I would love to have users be able to add new items to their bookmarks easily. 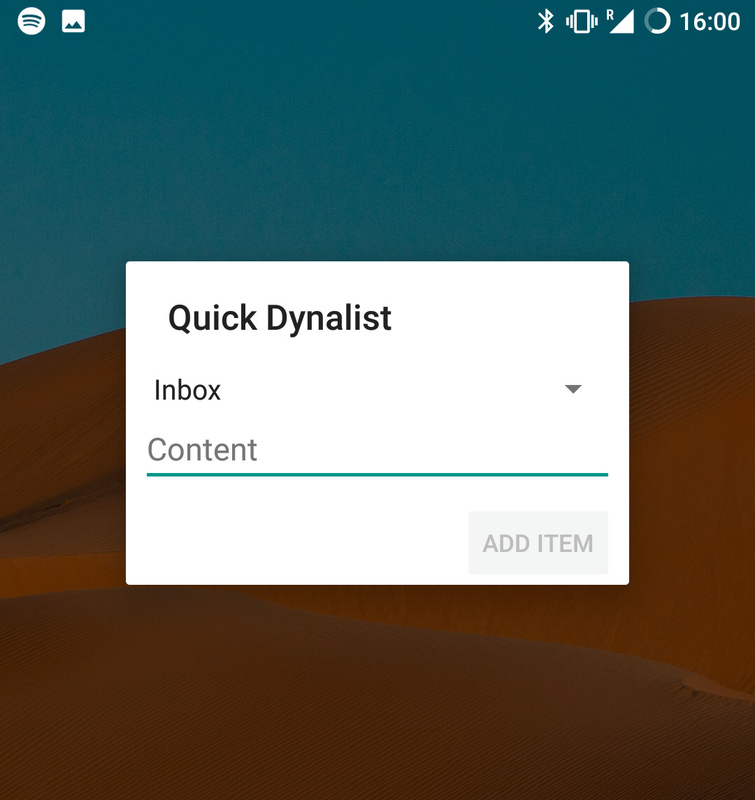 If you have a look at my app https://play.google.com/store/apps/details?id=com.louiskirsch.quickdynalist there is a dropdown spinner that says Inbox. I would like to extend it with all your bookmarks. Ok I see, so it’s like using bookmarks as alternative capture/entry points that’s not Inbox, right? I see! That’ll be neat. are there any plans to extend the API with bookmarks? Created / Last edit timestamps for each item can also be useful. I’d say the more the API exposes the better, then the community can build even crazier ideas.